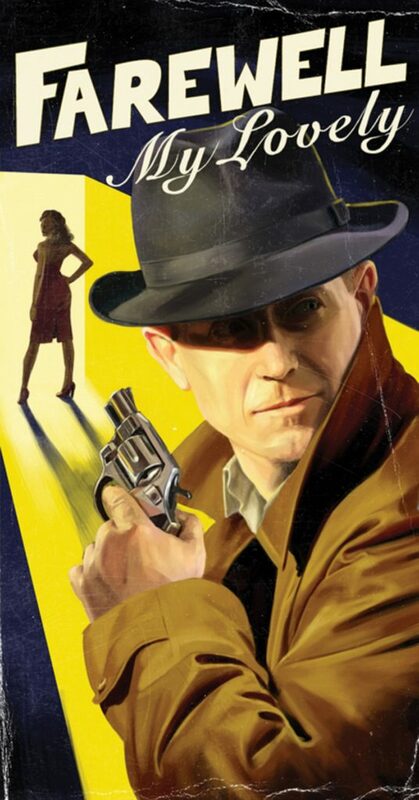 Looking through the many impressive images on the website of The Red Dress, the London based illustration and commercial artists studio run by Olivia Chancellor and her husband Oliver Bland, I’m immediately drawn to their retro, film noir and pulp aesthetics. Image for music festival Standon Calling. 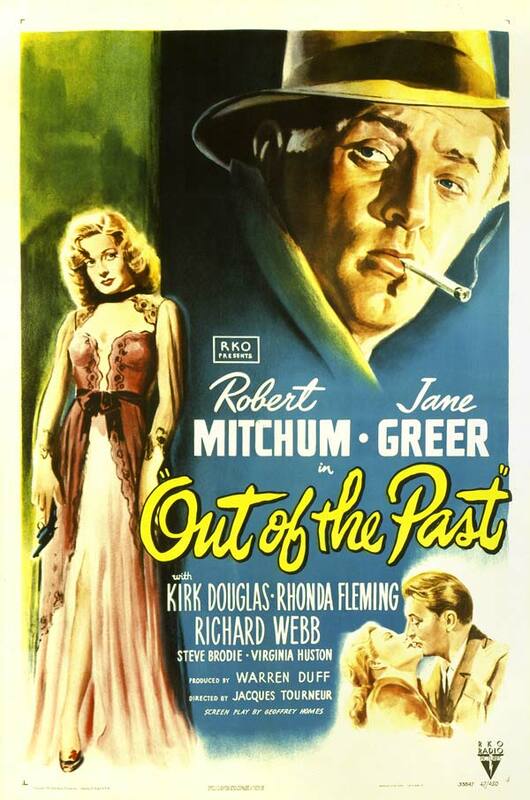 DAMIAN: Thinking back to when you were a child, were there any particular book covers, film posters or art in general that you think may have inspired your early career aspirations and later setting up of The Red Dress? OLIVIA: I remember having Philip Castle’s poster for Clockwork Orange on my wall as a teenager and loved the Rocky Horror Picture Show. Ollie has always loved the National Lampoon’s Vacation artwork by Boris Vallejo and all the old James Bond posters. I think that sums us up quite well. 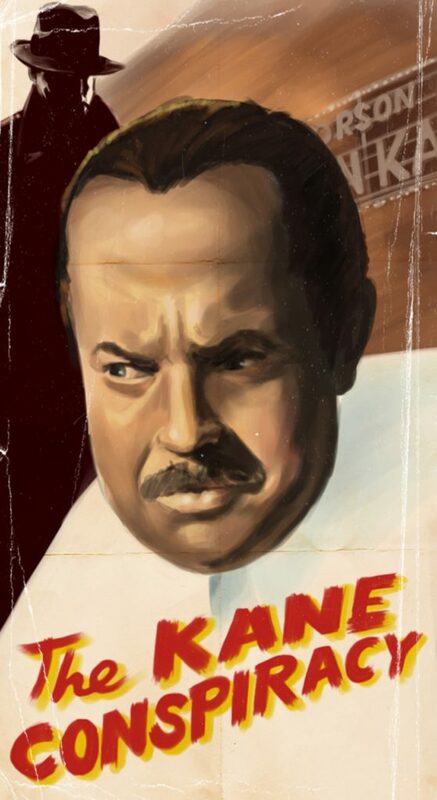 DAMIAN: You have a passion for vintage posters, especially B-Movies, Film Noir and Pulp Fiction illustration, but when do you think that you really began to notice and appreciate these? OLIVIA: Probably not really until we were at Central St Martins doing our degree. 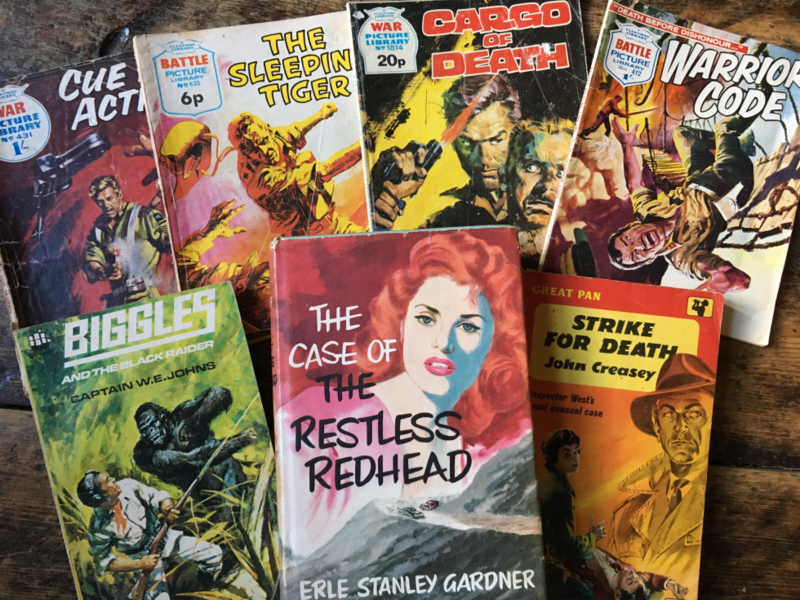 We’d scour charity shops and car boot sales for pulp fiction, vintage mags and annuals, choosing the ones with the best looking covers. DAMIAN: If you had to choose a favourite image or one that best represented the work of The Red Dress studio, what would it be? 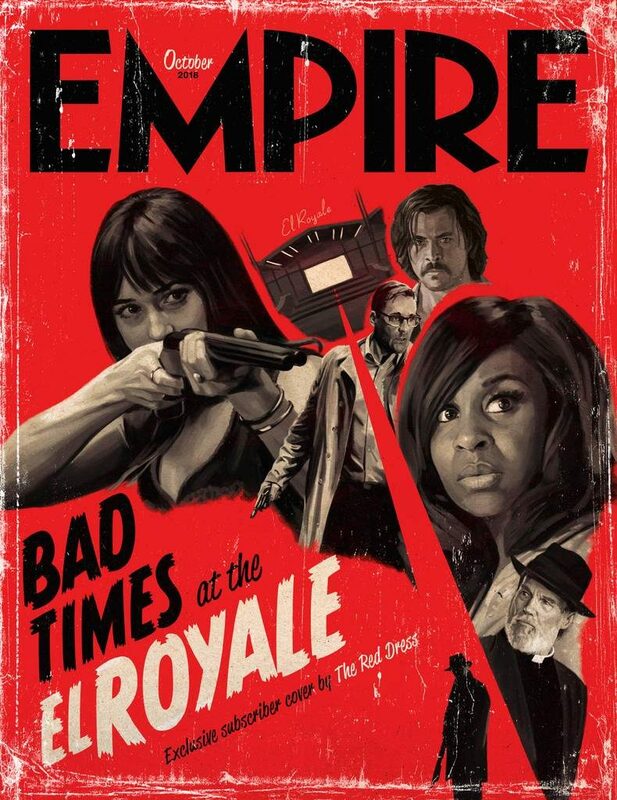 OLIVIA: Our favourite of recent years, apart from the Endeavour artwork, is the Empire subscribers cover we did last year – Bad Times at the El Royale. 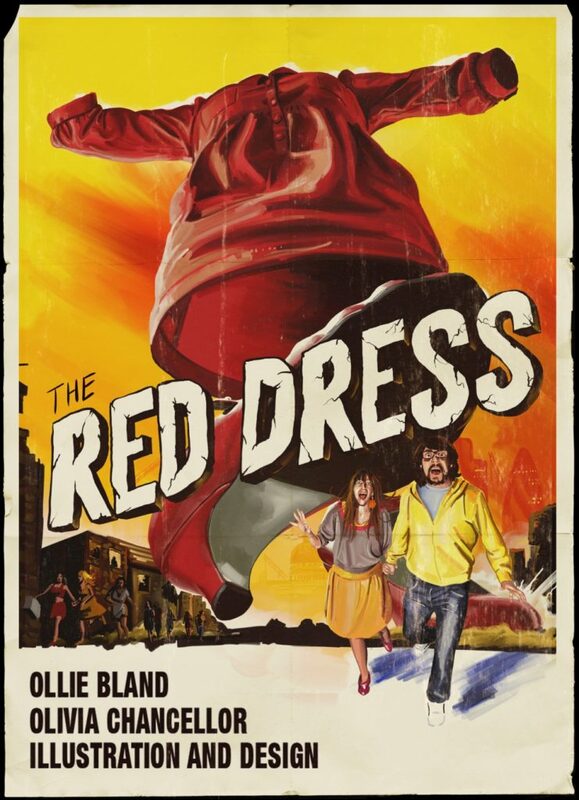 Though really we should choose our first and original poster The Red Dress as it sums up the sort of work we hoped to get when we first set up 13 years ago. It also is a daft double portrait of us both! DAMIAN: What was the brief when you were commissioned to design the Endeavour poster and was there any explicit information given regarding the look and tone they were after? OLIVIA: The brief was to stay true to the time period, position Morse and Thursday as a duo, exude the show’s high quality production and embrace the Oxford setting. 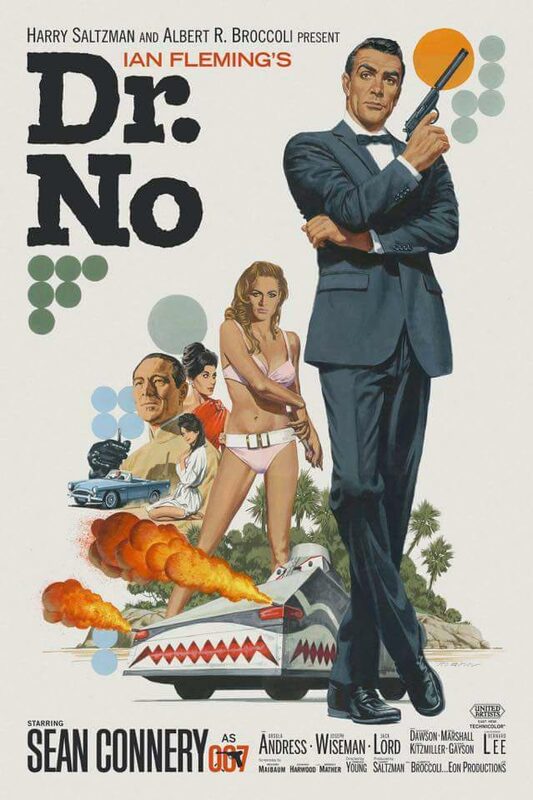 Images referenced were Dr No artwork by Paul Mann, Get Carter poster illustration by Arnaldo Putzu and Coffy artwork by George Akimoto. 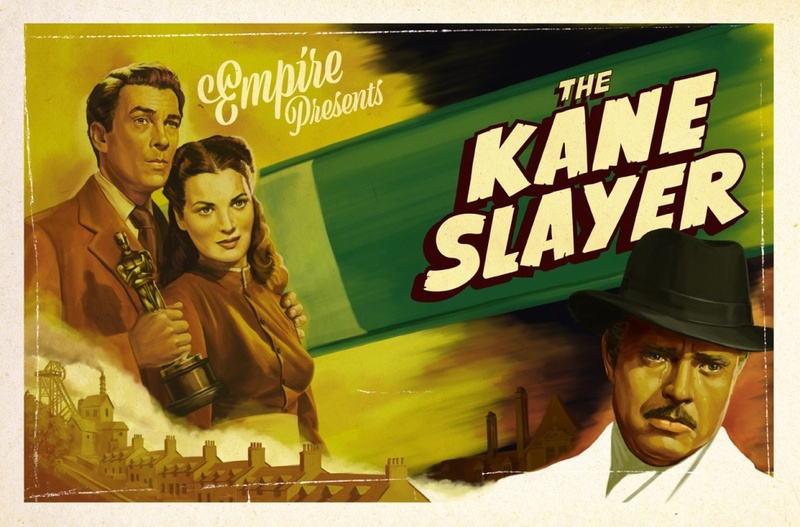 These poster examples share a montage style inclusive of larger sized main characters with smaller stories and action scenes happening around them. They all fade to a plain white or black background. DAMIAN: After presenting some early concept designs, I believe the only notes given from the writer and Mammoth Screen was the inclusion of Bright and the Jaguar, but stylistically, it was very much the artist’s vision? OLIVIA: Yes, as jobs go there were very few changes, but time was short as we only had two and a half weeks from briefing to final print deadline and this covered Christmas and New year. 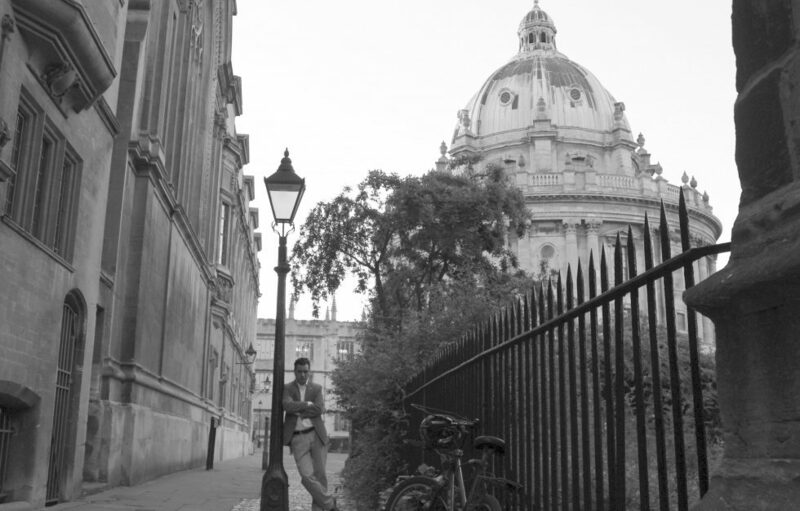 We went to Oxford to take photos of the architecture which we worked from as well as screen grabs from the edit and some behind the scenes photography. We spent quite a while positioning who and what we wanted to go where, how the lighting was going to work etc. A little later comes in the muted colour palate. 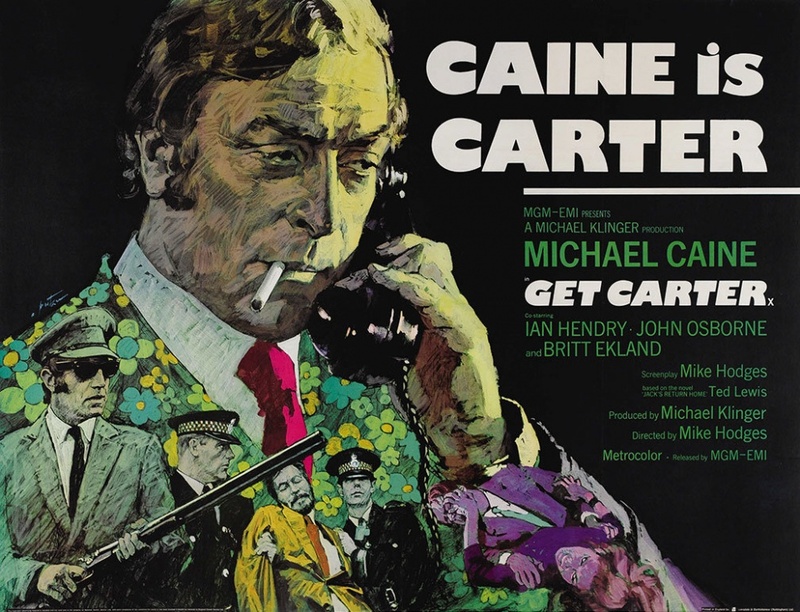 DAMIAN: Was there any research into either the art of 1960s period posters or marketing for the crime/detective TV and film genre more generally? 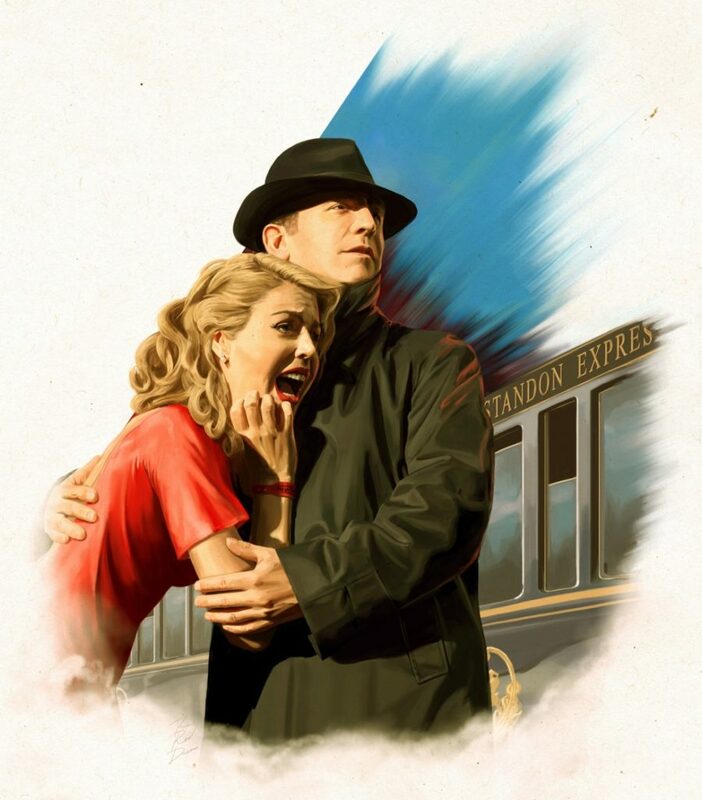 OLIVIA: Apart from the reference given in the brief there were no particular film posters that we took direct inspiration from, but as we specialise in painting vintage style posters the knowledge is there in our heads from years of producing similar artwork. 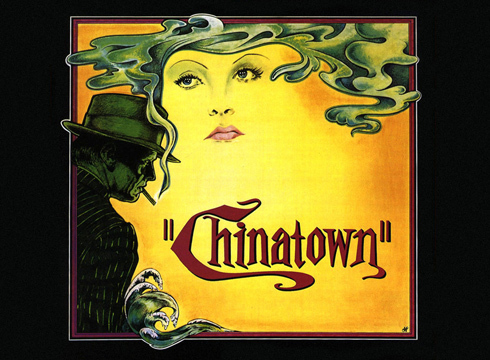 Someone [actually, lovely chap and Endeavour scholar, Ian Baker] on social media pointed out the similarity between the Endeavour poster and the 1974 Chinatown poster, but that wasn’t on purpose. Thinking about it now though there are perhaps elements from Out of the Past poster by William Rose but again it wasn’t part of the plan. 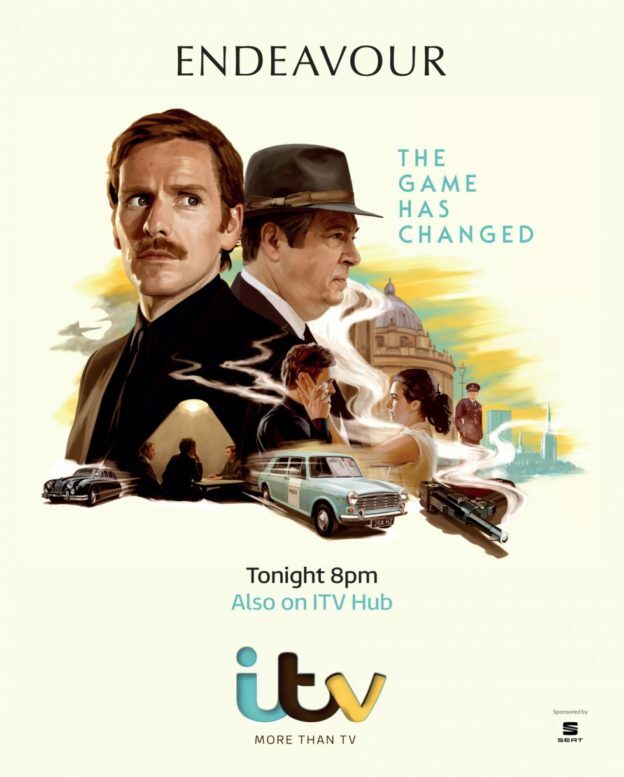 We definitely wanted to make sure that the beautiful Film Noir style of how Endeavour is filmed was mirrored in the image, so the smoking gun, profile of Thursday with trilby, and the interrogation room scene play up to that. This entry was posted in Endeavour and tagged Damian Barcroft, Damian Michael Barcroft, Endeavour, Endeavour Series 6, Film Noir Posters, Oliver Bland Red Dress, Olivia Chancellor Red Dress, Pulp Fiction Illustration, The Red Dress Studio, Vintage Movie Posters on February 10, 2019 by Damian Michael Barcroft. Really enjoyed reading this Damian… There are many iconic posters out in the metropolis with some stunning artwork & composition. 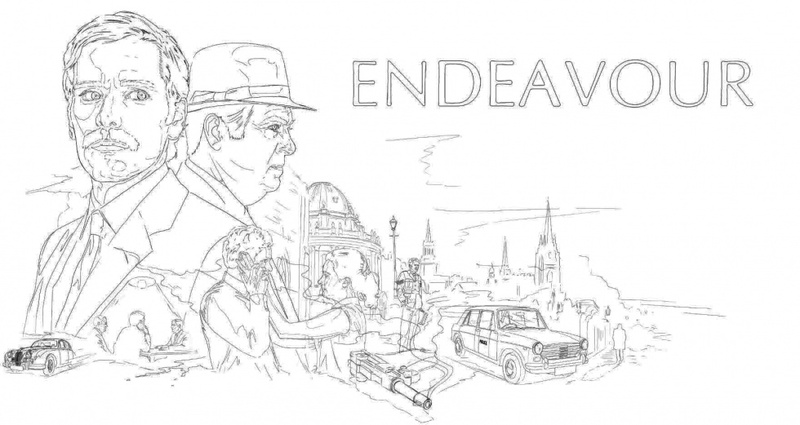 I do believe the Endeavour Poster has been extremely well received by Endeavour aficionados (myself included). The muted colour scape encompassing Oxford architecture & backdrop & the positioning of Endeavour & Thursday symbiotic of the direction and focus, overlooking their manor. The Panda Car & Jaguar emphasising perhaps, the bobby on the lookout & the Jaguar, the hierarchical branch of the Met. CI Bright positioned in the background indicative of the chain of command, perhaps? or possibly a statement that there’s a cold wind blows through Oxford, given, he is now in charge of traffic. Placing a low lit interrogation room is a nice touch & the ever smoking gun, emblematic of the challenges Oxford’s finest have to face. Endeavour’s ‘dance’ with Joan continues, it seems…Here’s an LP Cover for the Z Cars Theme, around about the time of Endeavour with a similar striking composition & a few more inspirational posters to follow, including Bond, The Long Goodbye & Bogie & Bacall in The Big Sleep. Thanks Olivia Chancellor & Oliver Bland for a memorable poster & for the most informative interview with the lovely Damian Barcroft. Keep up the great work at #TheRedDress.